St Paul the Apostle church offers Children's Liturgy of the Word Sundays during the 11:00 am mass. 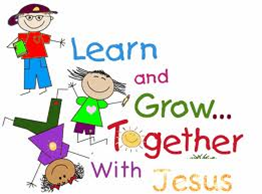 Under the direction of a Catechist and children's aides, children ages 3-6 are invited to break open the word, share prayers of the faithful and a children's creed each Sunday, along with seasonal activities. No reservation necessary. Please contact Jen Brooke 563.322.7994 or davstpauldre@diodav.org.